11 February 2009... 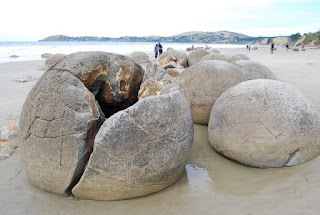 The Moeraki Boulders are a group of spherical rocks with hollow centers spread across the beach near the village of the same name. 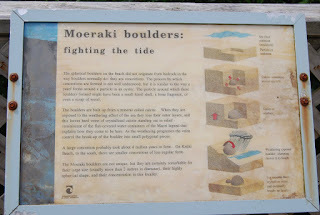 Neither the native New Zealander Maori tale nor the scientific explanation are convincing in explaining how they were formed. Here is the "scientific explanation"